Description: Limited gate-fold paper sleeve edition! Venus Record's producer Tetsuo Hara met pianist Kenny Barron for the first time in 1992, and ever since then wanted to record his trio album. He did so in 2004 by releasing the Super Standard CD, but Barron's contract with another label prevented them from using his name, so they called the trio the "Super Trio." With the expiration of that contract, Barron returned to Venus to record this superb trio album, this time properly released under his own name. Barron is a hugely talented pianist -- one of the best jazz pianists alive today --, and his bop-based style with flowing lyricism and unique melodic sense in in full display here. And unlike his other recent albums, this CD mostly features his beautiful interpretations of standards and ballads. Barron, George Mraz and Ben Riley sound perfectly relaxed and inspired at the same time. One can tell from this CD that they enjoyed playing together very much. 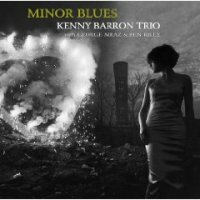 This is clearly one of Kenny Barron's best albums to date! The typically big, powerful sound of this Venus release adds to the value of this excellent album. Highly recommended! Produced by Tetsuo Hara and Todd Barkan. Recorded at The Avatar Studio in New York on May 4 & 5, 2009. Engineered by Katherine Miller. Mixed and mastered by Venus Hyper Magnum Sound Direct Mix: Tetsuo Hara.